is that it’s not just a text list of definitions. This book is as conversational and colorful as it is informative. Each term is clearly defined in one sentence, with a followup paragraph that gives more information to expand the reader’s understanding. The authors, Pamela Bennett and Maria Zampini did a fantastic job at making this book a good read. This would be a great book for experienced gardeners to enjoy with their morning coffee at the breakfast table, and it’s the perfect gift for a new gardener or homeowner. 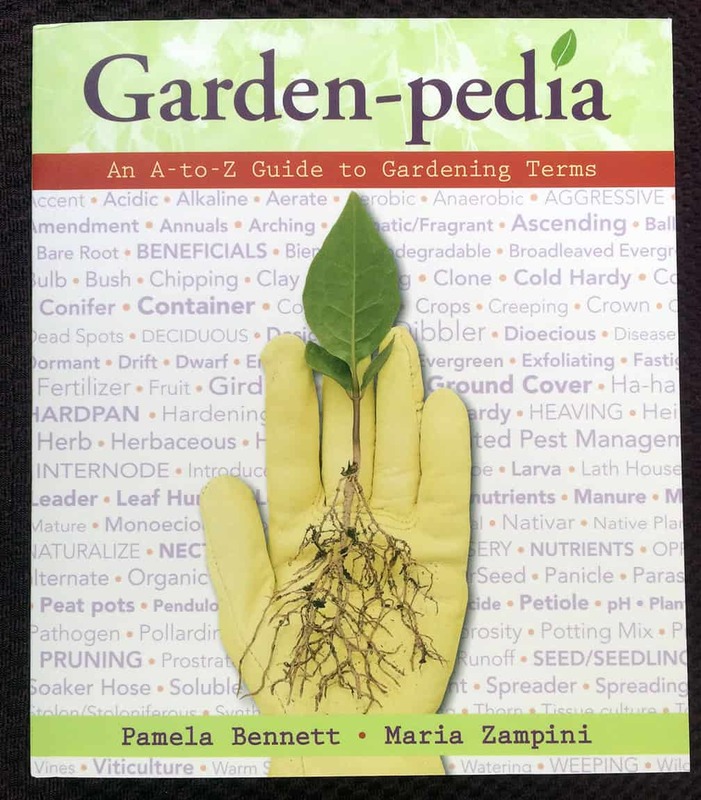 This book is up-to-date and includes such garden geek jargon such as “thug.” (“A plant that has the tendency to take over a garden.”) Experienced gardeners will find themselves nodding in agreement and appreciating how well stated all the information is. Novice growers will find ah-ha moments on every page! This book is illustrated with many color photos.